I see many put in their tributes to Petter in various threads, but for the 'historylovers' it would be nice to have most of them in one thread. Pls put in your tribute to Petter here, if it is kind words, special episodes, video or audio!! Will be nice to look back on a few years from now!! Well, I'll put another tribute here. It's another example of the Petter's love for this sport. These three are some of my photos of him, two from Fafe (Confurco & Pedra Sentada Jump). 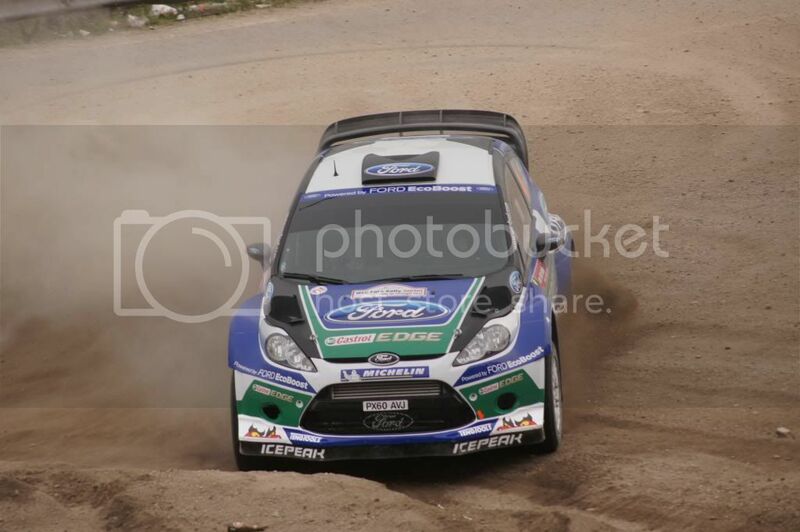 The third one is from the shakedown of 2009 Rally Portugal. i still feel he will be back in 2014 for sure. 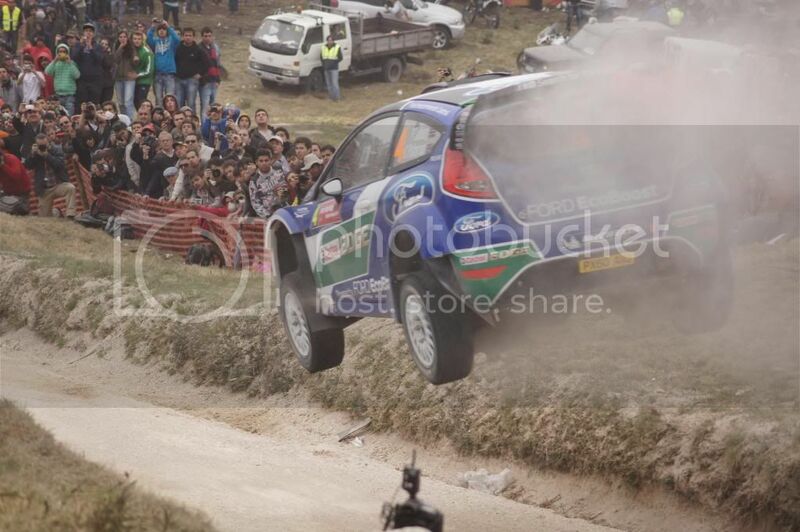 would do some rounds in 2013 with fiesta. I really started to get to know about Petter Solberg from Autosport, mainly after he had his big crash in Finland 2000, flying through the trees! I remember him feeling quite down/anguished having left Ford and switched to Subaru shortly after. I didn't really know why at the time (and still don't know the reasons why and what happened etc.). Back then, Petter's fledgling career was actually seeming to be at great risk, for back then he was like Maldonado and Grosjean are now, and Jani Paasonen was too; a driver of great promise but only a few results so far. He often got into crashes and seemed wild. It was at the point where his career in a works team wasn't going to continue (as with Paasonen...). But he came through and was signed for 2001 full time at Subaru. I have a great memory of watching the Rallye Monte Carlo highlights on the BBC with my sister and brother (I was 16 at the time). We all remember and laugh at how Panizzi crashed on a certain fast-ish left hand (kink? ), cos the onboard camera showed him shouting "Aaaiieeeeeeeeeee!" This was then followed by Solberg going off on the same corner and the onboard camera showed them landing upside down, and when they came to a stop (upside down), all that was heard was a disappointing sigh "Hurrrgh". Oh we laughed for years at those two reactions. I remember his impressive 2nd place on the Acropolis in 2011 (after Burns went off while trying to read a team info sign that was held out from him in the midday sun). He really started to progress towards the end of the year and had the beating of Markko Martin, though Martin was treated very poorly by Subaru. But it was 2002 that really opened my eyes to how good Solberg was. He beat his team-mate, none other than Tommi Makinen, convincingly!! Then when the opportunity came, he won Rally GB, beating Martin. The coverage was on Channel 4 at the time, and the presenters in the studio were chatting after day 2, and I was somewhat surprised that all 3 of them tipped Martin to take the win! Solberg won thanks to a great run on the Resolven stage (my home stage, as I grew up just on the other side of the mountain from there where you can watch - and HEAR - the cars come down as they head over towards Rhondda!) I remember in Autosport the week after that Solberg had been unable to sleep on the final night, so he watched the C4 highlights and heard them all tip Martin to win, and he said to himself there and then "I'll f*****g show them!" HAHA that was brilliant Petter! Makinen said he would be back to his best in 2003, but Solberg soundly beat him again. Around Finland time, there were 7 drivers thereabouts in the championship(!) including him. He had just beat Burnsie on the final stage of Finland in a big fight. He said then "I have never lost to someone in a straight fight like that, ever!" I don't know if that was true, but I wouldn't disagree with him. I never imagined at the time that HE would be the one to come on strong and take the title! This was thanks to a very impressive drive in Corsica to win, on inferior Pirelli tyres on tarmac, after smashing the car during shakedown. We all know how popular his title triumph was! He was often brilliant in 2004, including beating an improved Loeb again on Wales Rally GB; a victory built on his "warp 10" run through Margam, as David Evans put it. There wasn't much he could do against Loeb's Citroen in 2005 but Petter beat Gronholm on the same tyres. With Loeb descending to a private car following Citroen's withdrawal and Gronholm having to settle in to Ford who had teething troubles with their new fast car, I actually believed Solberg would take the 2006 title. I still don't understand to this day why Subaru seemed to drop off in performance so dramatically. But he never liked that car and wasn't at his best any time after that. Being totally honest here, I was often not really that fussed on Petter and Subaru in those days - I know I'm in the minority. I preferred to see Loeb endlessly winning! I know I'm in the even greater minority. I even kinda felt guilty cos I can see he's such a cool guy! But when he got his Citroen, I liked the fit much better. Massive kudos to starting his own team! I can't think of ANY driver who would have done that. Colin Mcrae didn't. His 2010 was something quite special I believe, much like what Fernando Alonso achieved in the Ferrari in Formula 1. Having read Antony Warmbold's engaging, witty, and HUGELY insightful blog, it was a real eye opener to see how privateers can be treated by factory organisations, in return for the MILLIONS they pay! I too would expect b100dy top notch equipment for that sort of money! Though I wasn't following the WRC much anymore, I could see well enough how much Solberg was going for it, how much he wanted to win, and how oh so close he came in Japan, in his inferior car lacking equipment and funds enabling him to take the final bit of risk. He came 3rd overall in the WDC, but crash.net had noticed what he had done, and he was voted the best driver of the year, above Loeb. I don't know what happened in 2011, but maybe Solberg had run out of steam; not at all surprising! And the customer cars had a bigger gap than usual to the factory ones. It was wonderful news that Petter was signed for Ford this year! I don't know the situation with Malcolm Wilson, but I gather he never forgave Solberg for leaving in 2000, and that the signing was made more by Ford than M-Sport. All I can say for this year is that it is a complete travesty, and against the laws of nature that Solberg last won a rally in 2005. To put that into perspective, the last time Petter won, Loeb still only had 1 title. There was no Latvala really and certainly no Ogier. Hirvonen had 2 4th places up to that point and was not much fancied, and Armin Schwarz was still driving! Now Solberg is basically my favourite driver, and with the absence of Matt Wilson, I now have followed Solberg's results with interest. It is most galling that truth be told, Petter was no longer the driver he was. All those years in bad equipment had taken their toll and the edge was gone... New fans (if they even exist), or even fans from the last 7 years know nothing of the driver who ended Makinen's career, and delivered those warp 10 drives. I remember them all very well! The driver who came 3rd in GB this year was NOT the driver who beat Loeb, and everyone else to win in 2002, 2003 and 2004. And now, the WRC which is these days already a VERY poor place, descends further into poverty. Though I don't follow the WRC much anymore, as it has sadly become like the Champ Car World Series in it's final years, I will greatly miss Solberg. For a driver like Petter to not win in over SEVEN years, shows that there is something terribly terribly wrong with the WRC. I hope we haven't seen the last of him, and that he can get one final win. There is no-one, probably in all of motorsport right now who more richly deserves it. Wow it's interesting reading all that through how bad the grammar is, and it doesn't read quite right, some of it; it happens when I type it all out in one go, and don't go over it much. It shows that there must be quite a lot to being a writer/editor person, to get everything spot on! Here's the Solberg Monte Carlo 2001 crash! It's at around 00:25, but just watch from the start I'd say (the Mitsu is only on for 5sec, Petter comes straight on then). I still don't understand to this day why Subaru seemed to drop off in performance so dramatically. But he never liked that car and wasn't at his best any time after that.